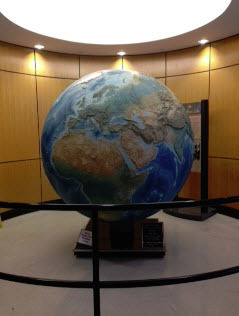 Yesterday I had the opportunity to visit again the genealogy section of the Allen County Public Library in Ft. Wayne, Indiana (http://www.genealogycenter.org/Home.aspx). 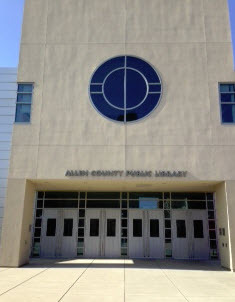 I have described this library’s fantastic resources in one of my prior posts (http://www.theartofgenealogy.com/2012/09/allen-county-public-library.html). other persons who are researching the same surnames as you. Now, I can hope that I will be contacted by others searching my surnames. Another perk you will find at this library is a carousel of free handouts on their holdings for different states and topics. I chose Connecticut, Massachusetts and Irish & Scot-Irish. These lists are handy not only for your time at the library but also as future reference. Some of the books listed are available for free on the Internet at Google Books, Archive.org, etc., and, of course, you can always purchase a book at Amazon.com, ebay.com and other sites. I had a plan. The surnames I tackled yesterday were my Stewart/McFarland family in Canada, my Marsh line in Massachusetts and my Scripture line from Connecticut. Today I will discuss my Stewart/McFarland research; I can chat about the other lines in future posts. Michael Stewart (b. circa 1821, d. 1907) and Jane McFarland (b. circa 1829, d. 1902) are my second great grandparents. A knowledgeable cousin informed me that they came from Newtownstewart (http://en.wikipedia.org/wiki/Newtownstewart) in Northern Ireland and landed in Philadelphia, Pennsylvania in the mid-1850s. Supposedly, they then traveled from Philadelphia to Ontario, Canada, where they settled in Simcoe County. I believe they may have lived in the United States for a few years because the 1861 Census of Canada indicates that their oldest daughter, Jane, was born in the U.S. in 1853 (1) This same Census page indicates that Jane and Michael were married in 1859. I am dying to know the parents of Michael and Jane, but many records were destroyed in Northern Ireland so this has been one of my brickwalls. One of the books I examined at Ft. Wayne was An Alphabetical Index to Ulster Emigration to Philadelphia 1803-1850 by Raymond D. Adams. I reviewed the entries for both McFarland and Stewart. In 1850, a John McFarland arrived with a family, one of whom was named Jane. They were from Tyrone, which is where Newtownstewart is located. The index does not list Jane’s age but the children appear to be in age order. Jane is listed above her sister Eliza, age 11. (2) If the 1861 Census of Canada is correct and Jane was born in 1829 then Jane would have been 21 in 1850. We all know Census records are often incorrect. This Jane in the John McFarland family is a possibility. Those are the resources I was able to review at the Allen County Library on the Stewart family. I am sure there are many more, but I will save that for another trip. My Stewart/McFarland brick wall has not been broken, but I’ve learned about what I believe to be their homeland in Ireland and I have a possible lead on Jane’s McFarland family. I have had the good fortune to have found a Canadian researcher who is from the area where my Stewart family lived in Canada (Innisfil, Simcoe County). He is giving me assistance out of the kindness of his heart and flatly refuses any money or gifts for his time. I am hoping to repay him by providing him with research assistance on New York and/or Michigan genealogical dilemmas. 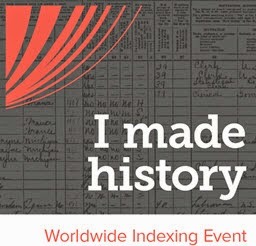 So, everyone out there, if you are stuck in your genealogical research, do not hesitate to ask for help. There are many people who will help you. You just have to ask. My next project is to contact libraries and historical societies near Newtownstewart. Dover Publications, Inc., Mineola, New York, Electronic Clip Art, Elegant Floral Designs, 2003. (1) 1861 Census of Canada, York, York, Canada West, Personal Census, Enumeration District [ED] 2, p. 3 (penned), p. 41 (stamped), person no. 25, Jane Barber Stewart: digital images, Ancestry.com (http:www.ancestry.com: accessed February 10, 2013); from Library and Archives Canada, Ottawa, Ontario, Canada, Roll C-1090. (2) Adams, Raymond D., An Alphabetical Index to Ulster Emigration to Philadelphia 1803-1850, Genealogical Publishing Company, Baltimore, Maryland, 1992, p. 60. (4) Gebbie, John H., Ardstraw (Newtownstewart): Historical Survey of a Parish 1600-1900, The Strule Press, Omagh, County Tyrone, Northern Ireland, 1968, p. 33. (6) Wikipedia (http://wikipedia.com), “Newtownstewart,” rev. 8 June 2012.